I almost forgot to post today, but I didn’t, so, whew. Today I offer you a Vespa ornament. 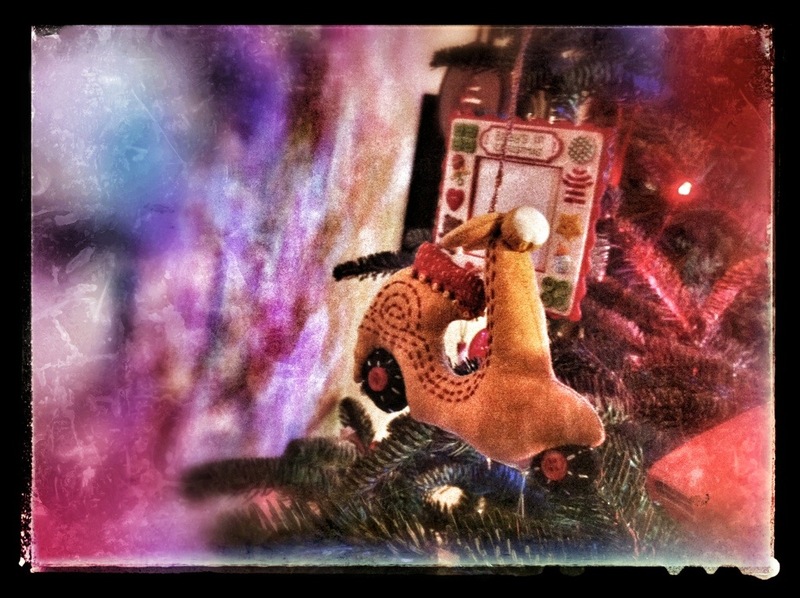 Well, it’s not officially an official Vespa ornament, but you know what I mean. It also has some cues that remind me of handmade stuff that they sell at 10000 Villages. So, cheers to handmade and to Vespas and to Christmas tree ornaments.